The Vikings injury report on Wednesday looked more like one typical of the NFL in December. 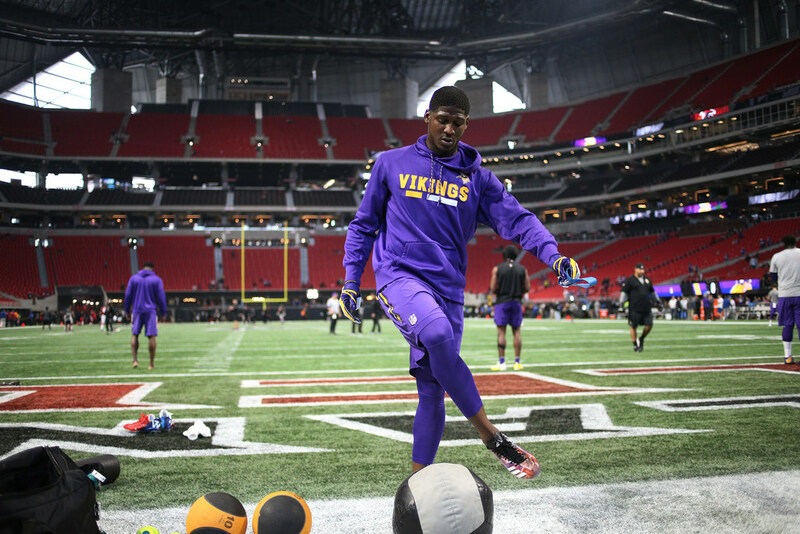 Six players, including cornerback Xavier Rhodes, left tackle Riley Reiff and tight end Kyle Rudolph, were sidelined during the Vikings’ first practice before Sunday’s game against the Bengals. Rhodes is dealing with a hip injury that kept him from one snap in Sunday’s loss in Carolina. Rudolph missed 19 snaps due to the injured ankle suffered against the Panthers. Reiff exited the game due to the ankle injury that had him in a walking boot later that day. He was out of the boot Wednesday, but unable to practice. Also not practicing were cornerback Mackensie Alexander (ribs), linebacker Emmanuel Lamur (foot) and tight end Blake Bell (shoulder). The good news for Vikings fans is right tackle Mike Remmers (low back) practiced for the first time since injuring his back Nov. 29 at Winter Park. He was limited on Wednesday. Remmers could return Sunday after missing the last five games due to brain and back injuries. Remmers’ potential return would come at a good time with Reiff nursing an ankle injury. Rashod Hill filled in for Reiff during practice. Center Pat Elflein, who was held out in Carolina, was limited again during Wednesday’s practice with a left shoulder injury. Six other Vikings were limited Wednesday: Adam Thielen (knee), Linval Joseph (knee), Jerick McKinnon (shoulder), David Morgan (concussion), Jeremiah Sirles (knee) and Shamar Stephen (shoulder).